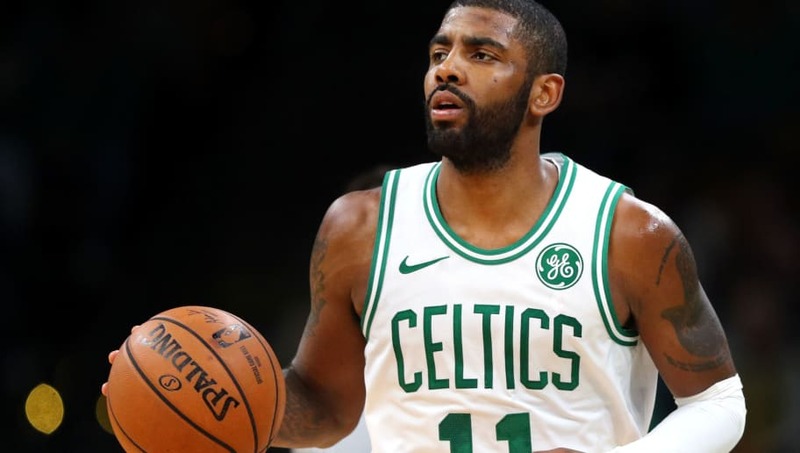 ​The so-called "vaunted" three-point defense played by the ​Milwaukee Bucks didn't seem to be a problem for Kyrie Irving and the Celtics last night in Boston. The Celtics defeated the Bucks 117-113 last night to hand Milwaukee their first loss of the season. Irving led the way for the Celtics, scoring 28 points and shooting 50 percent from beyond the arc. After the game, Irving wasn't too impressed with how Milwaukee guarded along the three-point line. The Celtics were less than impressed by Milwaukee's 3-point defense. Kyrie Irving said the Bucks adjusted some in the second half, but, "It’s fun playing the game in space, I’ll tell you that. So I just wanted them to keep playing that type of defense." This was a type of game from the Celtics that shows why there're team to beat in the Eastern Conference this season despite Milwaukee's impressive 7-1 start. Boston hit a total of 24 threes in the game, which is one short of the NBA's single-game record. It doesn't matter what kind of defense the Celtics play against, this team is going to put up points. With the ​Red Sox winning another championship, the Patriots seemingly on their way to another long playoff run, and the Celtics off to a good start so far this season, is there anything going wrong in Boston sports right now?